I’ve owned two Android phones and one iPhone, and my preference remains firmly with Android. 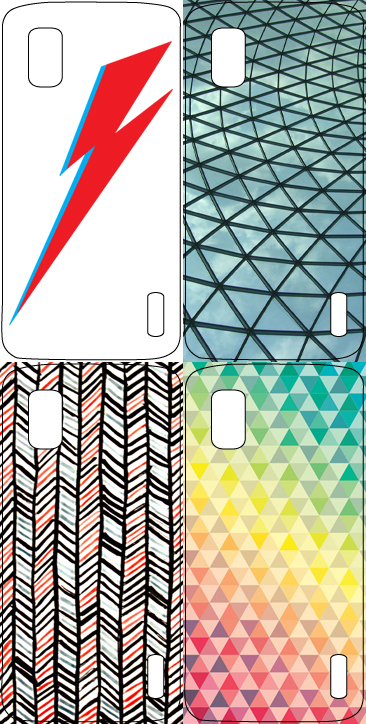 One major drawback to Android (other than the app store, which is rapidly improving) is the lack of selection of phone cases. Since Android phones come in such a large variety of shapes and sizes, you usually only have a choice between black, white and some other basic colors. 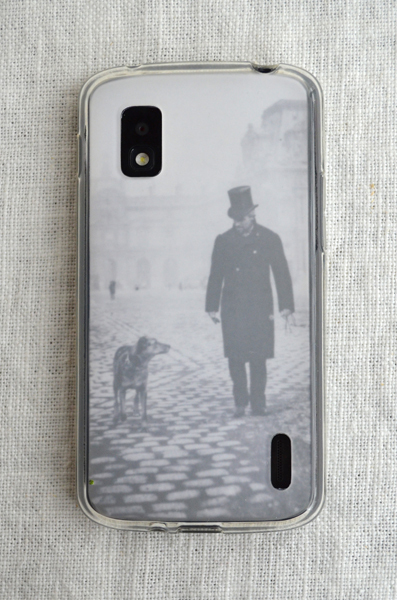 If you can find a clear case for your flat-backed smartphone, I’ve figured out a way you can customize your case a bit. Instructions after the jump. 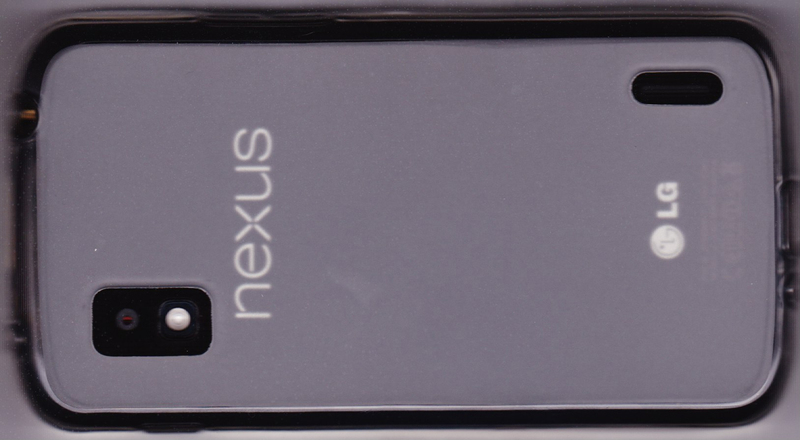 I have a nexus 4, for which I couldn’t even find a properly clear case. My case has a frosted back, but it’s semi-transparent so I decided to work with it until a better selection of cases comes on the market. I began by scanning the back of my encased phone. Then I use Adobe Illustrator to trace the outline of the frosted edge and the cutouts for the speaker and camera in the image. A more low-tech approach would be to trace the shape of your empty case on a piece of paper, and scan that –or just use the tracing as a template for images from magazines or wrapping paper etc that you have handy. This is what I ended up with. 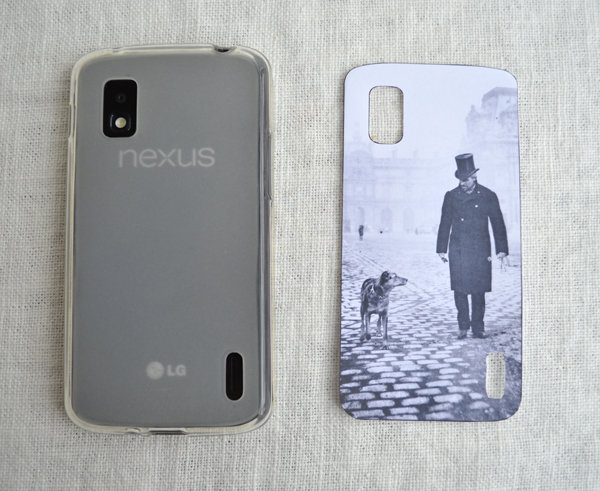 If you have a Nexus 4 you can try using my template. 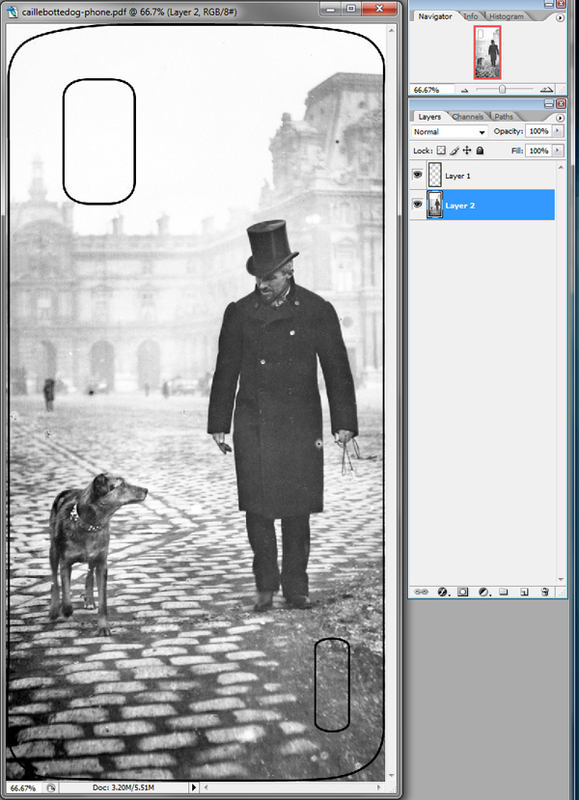 Then using Photoshop I dropped an image into a layer behind the phone template and adjusted the size and alignment until it looked right. I saved it as a pdf and printed it out. 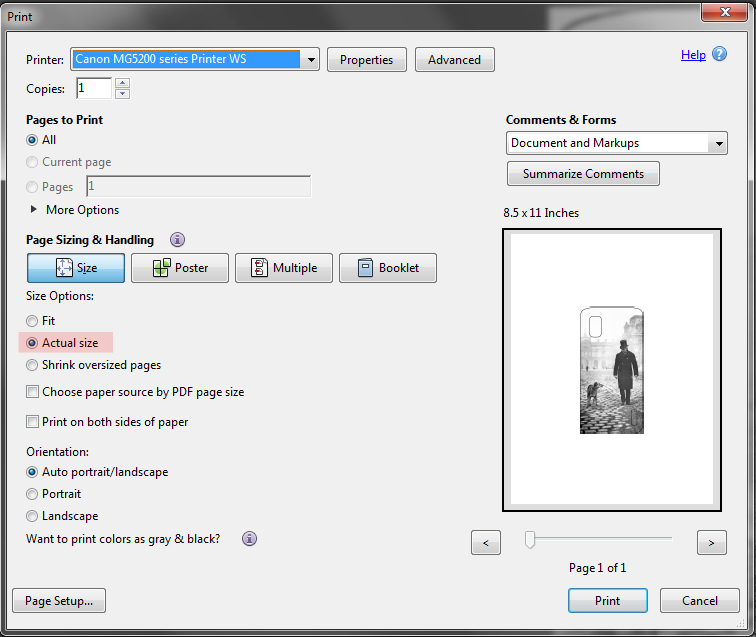 One important thing to remember is to make sure that your printer prints the file at “actual size” rather than automatically resizing the template to the size of the paper. After printing out my template, I cut it out using an x-acto knife to cut out the interior holes. 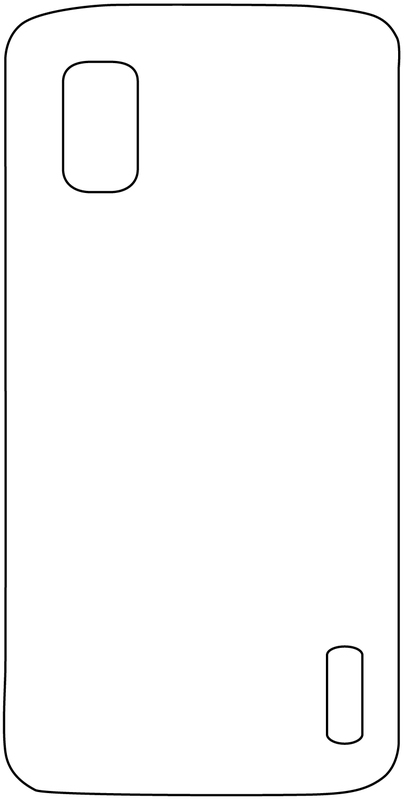 I carefully lined up the paper with the holes and popped my phone in. 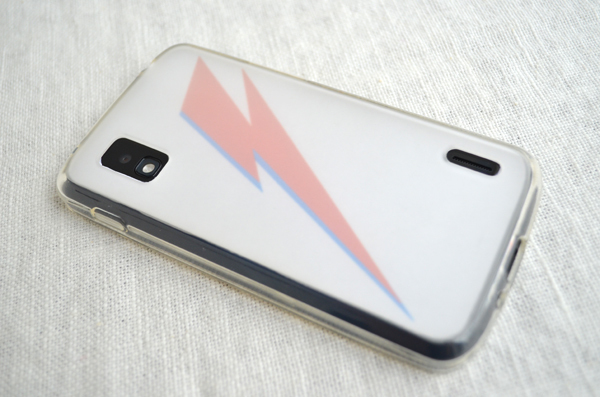 There you have it –customized phone case! I suppose you could use transparent glue to make it permanent, but I’m leaving mine loose so I can switch out images. If you want to change out images, make sure you don’t leave one image in too long since the ink will likely wear off onto the case back over time. 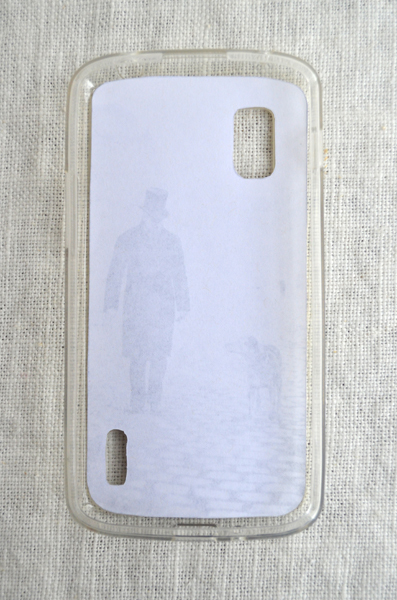 Since my case is frosted, high contrast images seem to work best. I’m looking forward to a truly clear case to come on the market.